For thousands of years, people have suffered from disease and been healed through the use of acupuncture and herbal medicine. It is estimated that in the United States alone, 70% of the population have been treated using some form of alternative medicine and the number continues to rise. 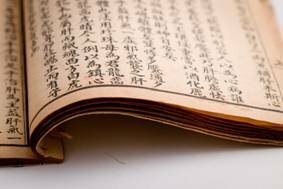 Chinese medicine is dedicated to natural healing and prevention of disease. According to traditional Chinese Medicine, the human body is pervaded by an energy circulation system that vitalizes and regulates all organ functions. Energy pathways near the surface of the body are called meridians, and along these designated points, the flow of energy can be increased, reduced, or regulated. Through acupuncture, selected points on the body are stimulated to achieve the desired effect. In terms of Chinese medicine, this is how acupuncture normalizes dysfunction and restores the dynamic equilibrium of heath. From the perspective of biochemistry, research indicates that acupuncture may, in fact, stimulate the production of endorphins in the brain. This activates the body’s natural pain suppression, as well as immobilizing anti-inflammatory and anti-infectious agents by strengthening the body’s immune system. According to traditional theory, the qi and blood circulate through the channels, communicating with acupuncture points in the skin. The channel and points serve to conduct energy leading researchers to discover their electrical properties. The electric current of the skin itself is measured and fluctuations in current and electrical potential can be recorded. The insertion of needles at acupuncture sites creates a response in organs and pathways leading to them. There are specific relationships between acupuncture points and the nervous system as well as between the blood vessels and the lymph glands. There are also direct relationships between the cerebral cortex of the brain and the organs, and between the channels and the central nervous system. Many common medications in use today have their origins in herbs which are then chemically altered in order to be patented by pharmaceutical companies. For example, valerian is turned into the chemical valium, which has devastating side effects not present when in its natural state. Western medicine and its advances in diagnostic testing and emergency medicine save lives in traumas and life threatening situations. What it cannot offer is a means of staying healthy, maintaining your overall health, or preventing disease in the way Oriental medical treatments do. In Nini’s experience, this is where Oriental medicine is superior. Through working in medical clinics she has become convinced of the importance of combining both modalities to benefit from the strengths of both. In these times of readily available information many people are no longer willing to give total control to their doctors and are beginning to ask important questions about the side effects of prescription medications and surgery so that they can make intelligent decisions based on their own values and lifestyle choices. Unlike drugs and surgery which often carry tremendous risk factors, acupuncture is relatively mild and any side effects such as slight bruising are rare and self-corrective. Some people are unaware of the extensive training involved in becoming an acupuncturist and believe that anyone including unskilled lay people is allowed to practice. The truth is that to sit for the acupuncture examination requires four years of intensive study after a bachelor’s degree. That’s the same as medical school and one year more than law school.) Then, once licensed by the state, Acupuncturists must adhere to stringent professional procedures and are required to take at least 50 hours of continuing education every two years in order to maintain their license. Acupuncture needles contain no medicine and are thinner than a strand of human hair. As children we were reassured often that the shot we would be receiving would not hurt. It would have been preferable for the doctors to explain that there would be some pain or discomfort but that the benefits were well worth it.There are two reasons why injections of western medicine hurt. First is the gauge of the needle and second is the medicine being delivered to the body. Because we have all at one time been reassured that the shot will not hurt, and it does it is very difficult to make the jump to acupuncture and the mere mention of needles brings to mind pain. Many times, as acupuncture needles are inserted delicately, they aren’t felt at all. Patients may even fall asleep during their treatment s due to the relaxation they experience with acupuncture.In fact one of the main reasons people come to my office is stress and stress related conditions, ie anxiety, depression, panic attacks, chronic fatigue etc. One major advantage of acupuncture is that it facilitates the relaxation of the body, and encourages the release of endorphins, the body’s own natural painkillers. If that were true, how could the successful results of animal acupuncture be explained? Western medicine is less than two hundred years old and Chinese medicine over 5,000 so, in reality, which is the “alternative” medicine? Please find links below to articles from the New York Times and other sources on the efficacy of acupuncture not only for pain but for a variety of conditions. Please take a moment to read some of my testimonials, and contact my office for your free consultation!